A class of polypeptide antibiotics isolated from the Steptomyces soil bacteria. 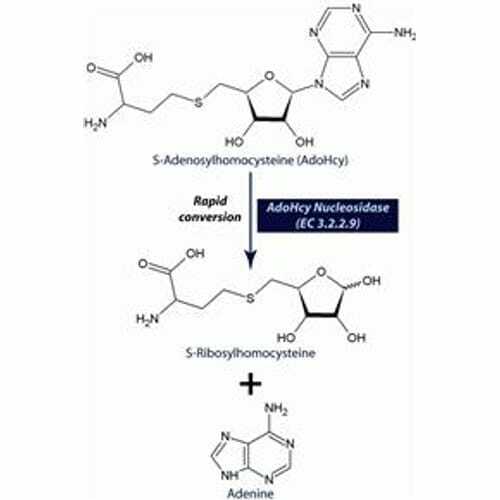 Actinomycin D inhibits transcription by binding to DNA at the transcription initiation complex and therefore preventing elongation by the RNA polymerase. Supplied as 50μl 10mM solution. 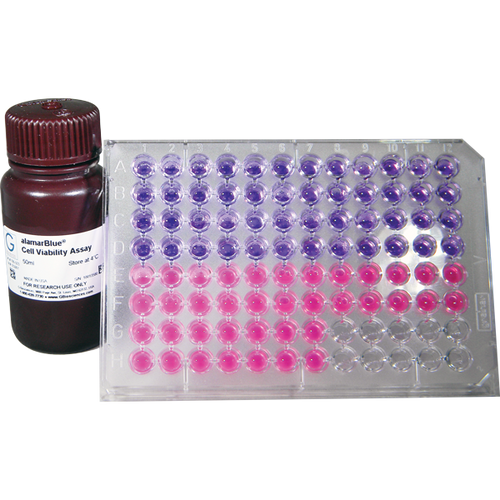 Featur..
AlamarBlue Cell Viability Assay reagent quantitatively measures the proliferation of mammalian cell lines, bacteria and fungi. 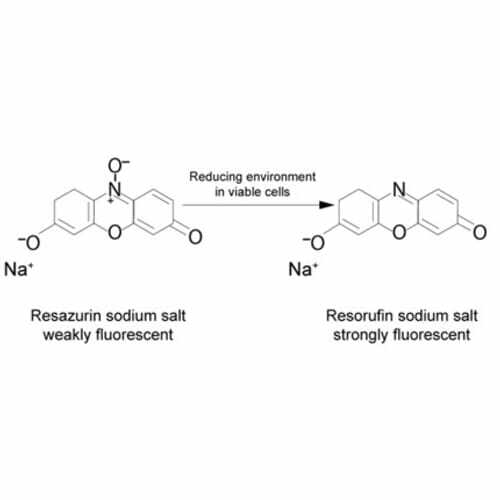 The dye incorporates an oxidation-reduction (REDOX) indicator that both fluoresces and change color in response to the chemical reduction of growth medium due to cell growth..
Anthocyanins represent the most important group of water-soluble pigments in the visible region detectable by the human eye. These pigments are responsible for the different colors ranging from red to blue present in various fruits, vegetables and cereals, accumulated in cell vacuoles. Anthocyanins .. 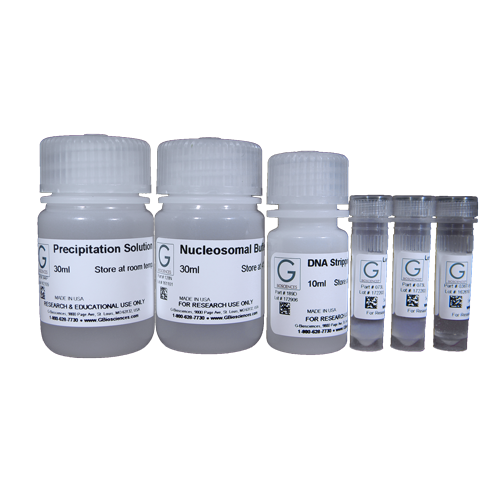 The Apoptotic DNA Ladder kit contains all of the reagents necessary for the preparation of cellular fractions for the production of apoptosis nucleosomal DNA ladders. 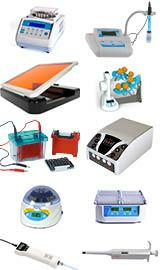 The kit does not require the use of toxic phenol. 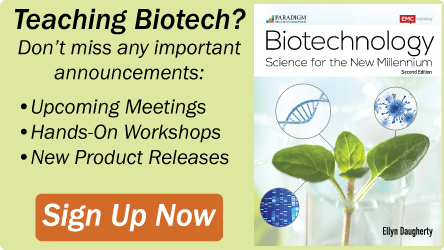 The protocol involves: cell lysis; removal of cellular debris; and precipitation of..
Ready-to-use high quality apoptosis inducers allow users an easy tool for induction of apoptosis in cultured cells. 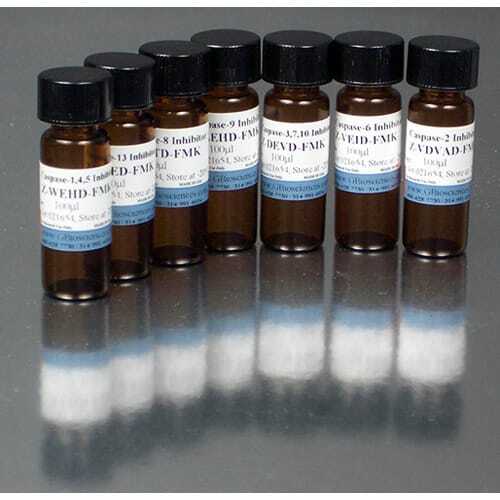 These stabilized reagent solutions have a long storage life and are easy to use. 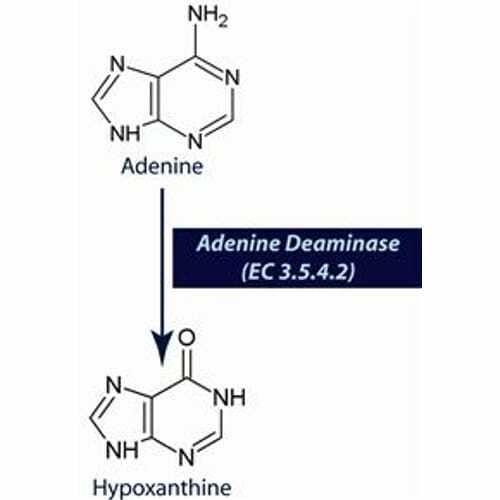 The selection of apoptosis inducers include actinomycin D, camptothecin, cycloheximide, dexamethasone, ..
4-ethyl-4-hydroxy-1H-pyrano[3’,4’:6,7]indolizino[1,2-b] quinoline-3,14-(4H,12H)-dione A cytotoxic quinoline alkaloid that inhibits the DNA enzyme topoisomerase I (Topo I). 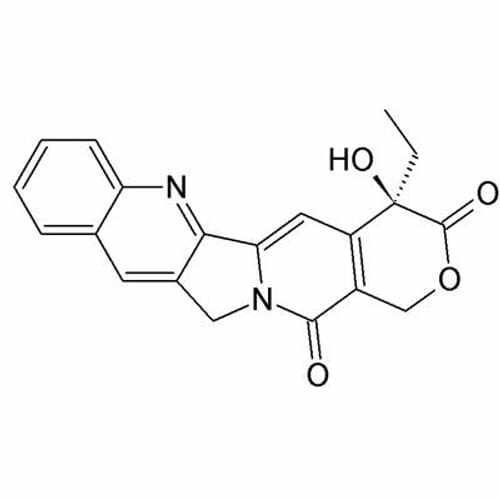 Supplied as 1ml 2mM Features Synonym: CPT CAS Number: 7689-03-4 Linear Formula: C20H1.. The CasPASE™ Apoptosis Colorimetric Assay provides a simple and easy to follow method for assaying caspases, a key early indicator of apoptosis in mammalian cells. The assay is based on the detection of cleavage of a synthetic substrate, which is labeled with the chromophore ρ-nitroanilin.. 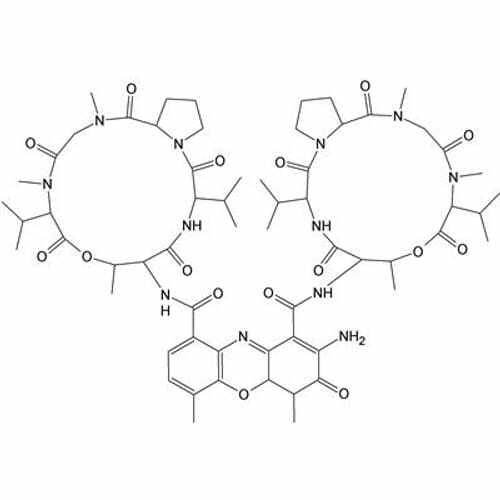 The Caspase inhibitors are potent fluoromethyl ketone (FMK) based, non-toxic, and membrane permeable.  Inhibitors are supplied as 1mM ready-to-use solutions and are recommended for use at 1µl/ml cell culture or in caspase assays. .. 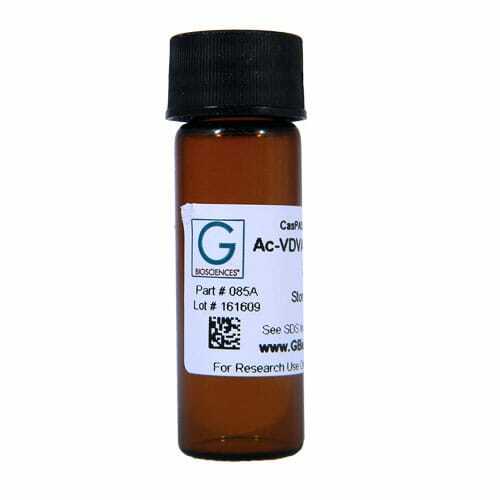 The caspase substrates are AFC-substrates that exhibit both fluorescence and absorbance spectral shifts between the substrate-conjugate and the free dye (AFC), and are suitable for fluorescence readers, spectrophotometer, or microtiter plate readers. These substrates are supplied as 1mM ready-to-use.. 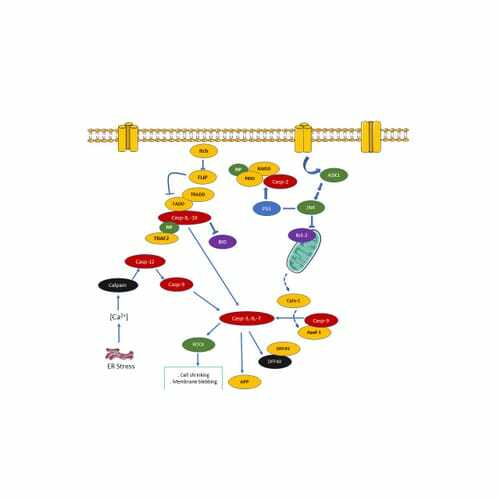 The CasPASE™ Apoptosis assays are designed to monitor apoptosis by measuring various caspase (protease) activities, a key early indicator of apoptosis in mammalian cells. 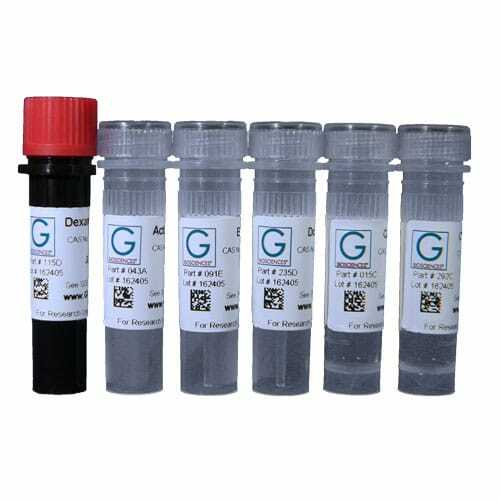 The assay provides a simple and easy to follow method that can be monitored with a fluorescence reader. The assay is based..